The UN imposed a ban on entry into ports for four vessels for the fact that their crews violated sanctions against the DPRK, BBC News reported on Tuesday referring to the coordinator of the UN Committee on North Korean sanctions Hugh Gruffits. 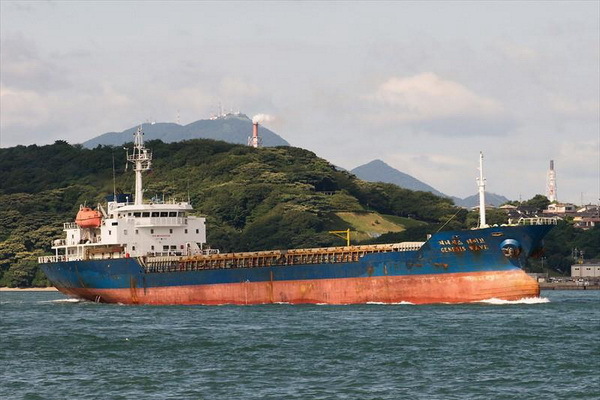 The ban was imposed on vessels Petrel 8 (under the flag of the Comoros), Hao Fan 6 (Saint Kitts and Nevis), Ton San 2 (DPRK) and Dzie Shun (not assigned to any port. The ban entered into force on October 5 and does not imply freezing assets or a ban on movement. In August, the UN adopted a resolution prohibiting North Korea from exporting coal, seafood and iron ore. In September, textile products were also banned, work permits for North Korean citizens abroad and, in part, imports of petroleum products.